This tutorial helps you to add the stories on the AMP version and It requires the amp-story extension. 3. 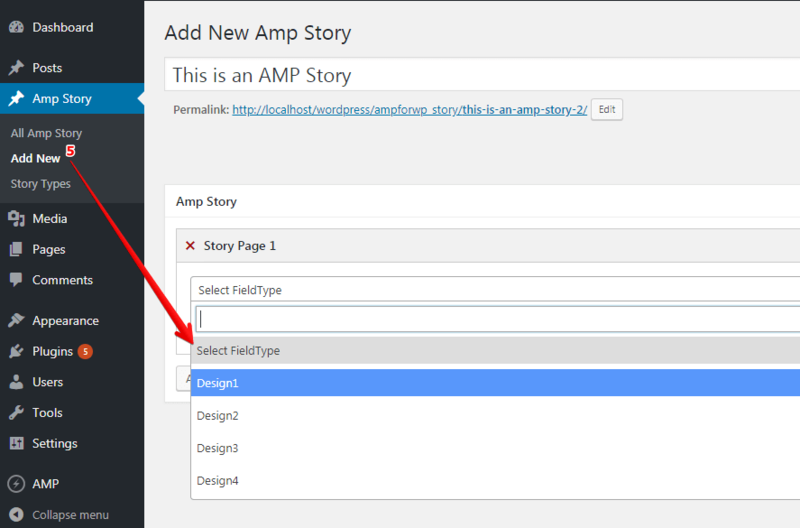 Now the AMP Story option will be displayed in the WordPress options panel. 4. After clicking the AMP story option you will be able to see the add your new story options. 5. Also, you will get the 4 different designs of AMP story, in which you will get the upload a video option. 6. Now you can create AMP stories as many as you want. First, Go to your WordPress admin area and click on Settings –>Permalink. AMP Stories Slug: If you want to change the slug name of AMP Story then you can enter slug name in this field and click on the save changes button. Here is the Video tutorial on how to use the AMP story.